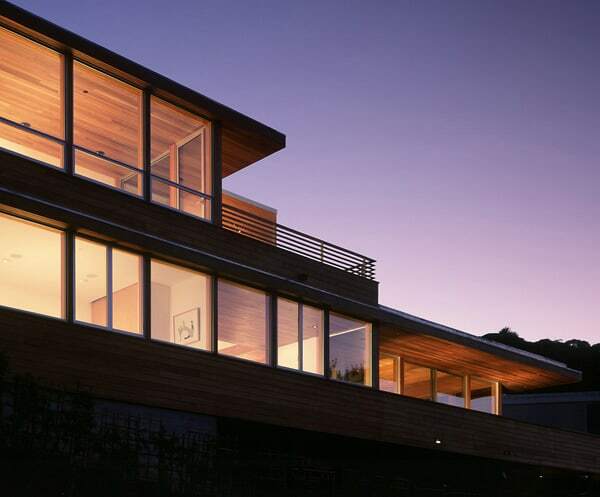 The Conrad Residence is a modern property redesigned to maximize views and living space by Swatt | Miers Architects, located in Sausalito, a San Francisco Bay Area city in Marin County, California. 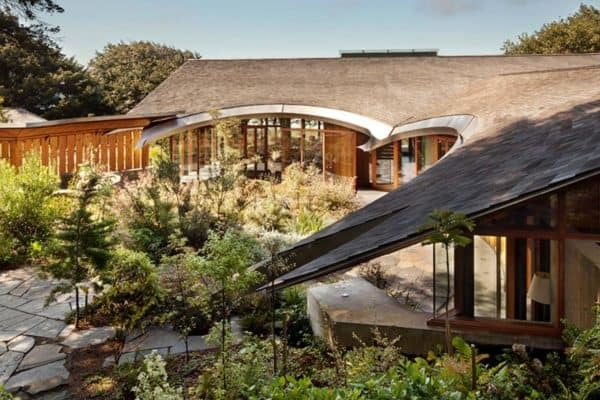 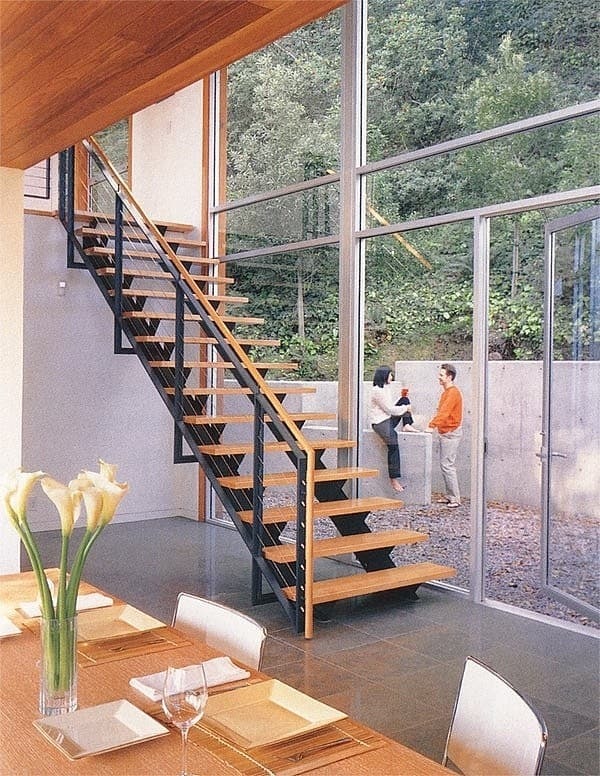 The residence was built over the footprint of a 1950’s residence by noted Bay Area modernist Rodger Lee that over the years had suffered irreparable structural damage. 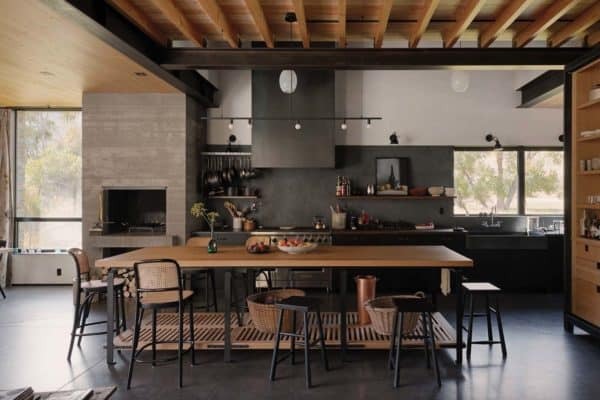 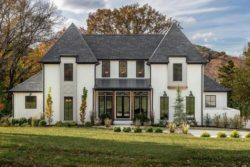 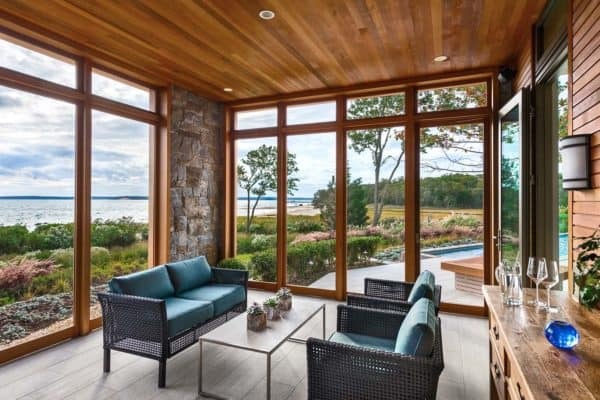 The new design doubles the area of the house to 2,700 square feet while maintaining the original emphasis on the expressive use of wood and the distribution of public and private spaces. 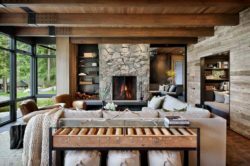 The new design retains the spirit of the original on the exterior and the interior through its expressive use of wood structure and finishes. 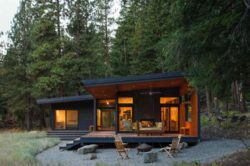 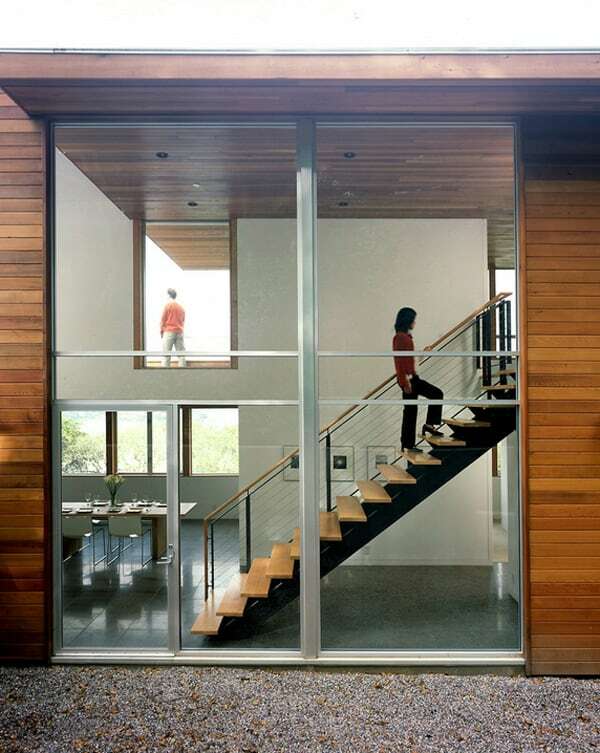 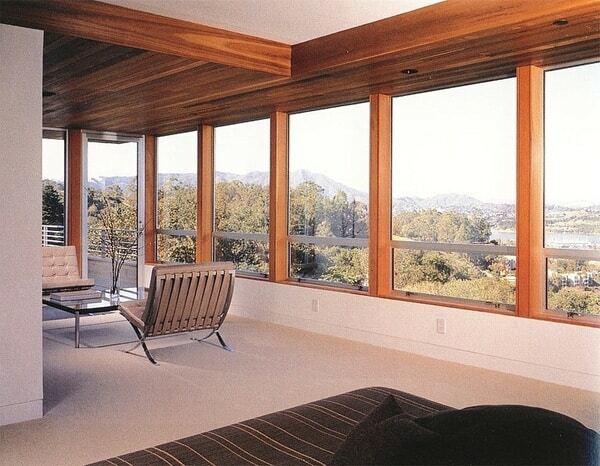 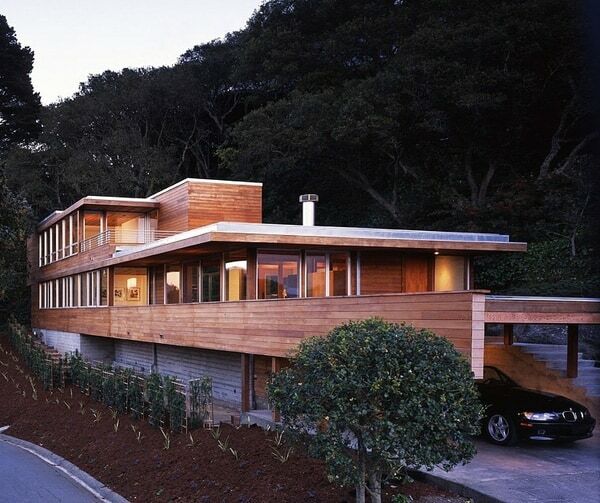 Strip windows and cedar siding emphasize the horizontality of the design, extending the lines of the house into the site, and helping nestle the house into the hillside. 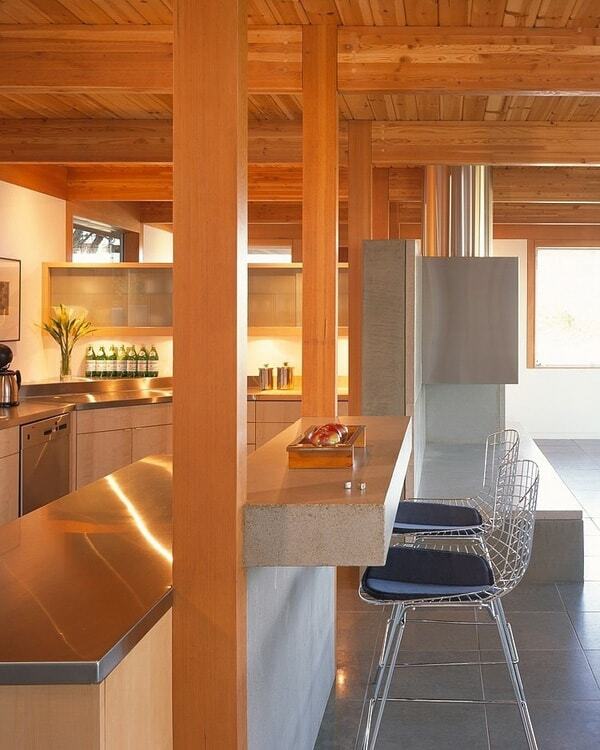 Post-and-beam construction is used to reveal the structure of the house and articulates the grid upon which is it is base. 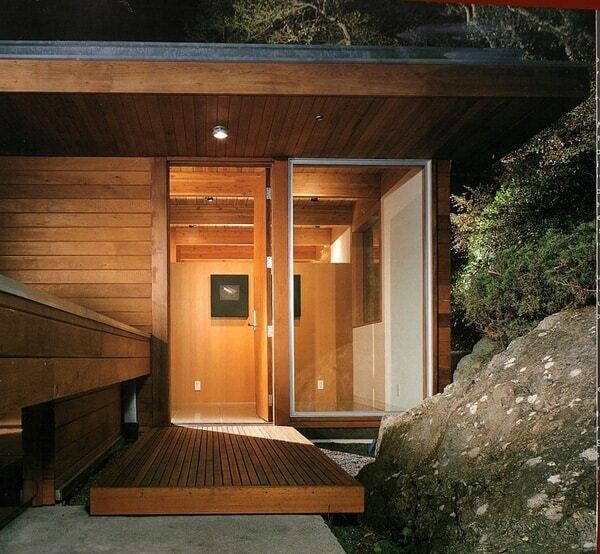 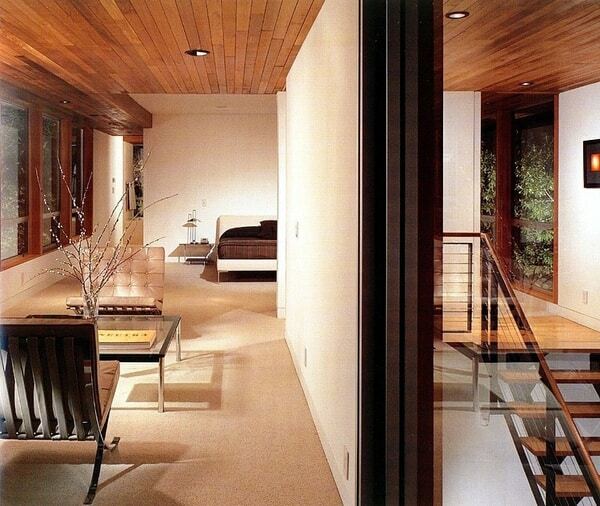 Tongue and groove cedar soffits visually connect interior spaces to decks and terraces beyond. 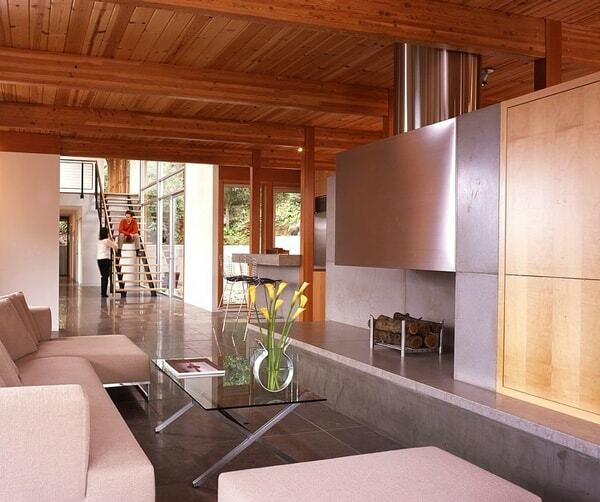 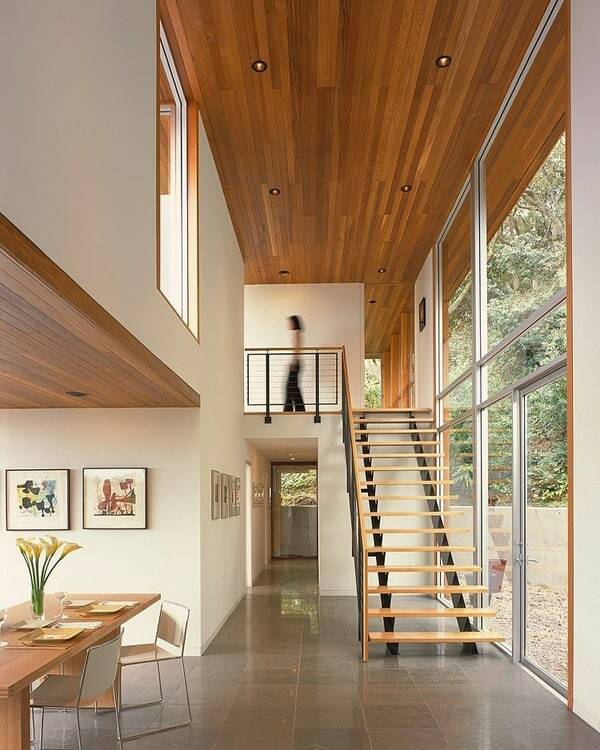 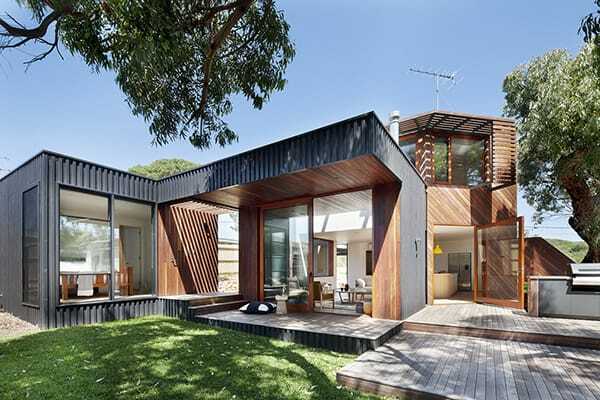 Exposed woodwork, concrete, and stainless steel details complete the plan.